-L0Lock- added a comment to T51366: Empty image improvements to replace background. On previous versions, background images would remain displayed when entering local view /. In 2.8, image empty get hidden like any other unselected object. -L0Lock- added a comment to T54943: Blender 2.8 Defaults. -L0Lock- added a comment to T60806: CUDA error: Launch failed in cuCtxSynchronize(), line 1679. -L0Lock- updated the task description for T60806: CUDA error: Launch failed in cuCtxSynchronize(), line 1679. -L0Lock- created T60806: CUDA error: Launch failed in cuCtxSynchronize(), line 1679. -L0Lock- added a comment to T54115: Redesign User Preferences. -L0Lock- added a comment to rBedbf15d3c044: Defaults: left click select is now the default.. I think it might be interesting to add a button in the "normal" splash screen in order to display the quick setup again, like proposed here. Even though it's easily accessible in the user prefs, the splash screen remains a place where users go at every startup without further clicking and will remember well (so, their intuition might ring a bell here). -L0Lock- added a comment to D3938: Remove confirmation dialogs Save or Delete, in favour of displaying messages in the Status Bar. -L0Lock- added a comment to T56702: Blender 2.8: Left Click Select. First, we implement the improved support for LMB select and make sure it works well in all modes and with the tools. Then, we add it to the startup screen so you can easily pick it as an option. After this is done we can easily flip the default if we can come to an agreement to do so. Moon Caine (mooncaine) awarded T54058: Rigify - Cat setup suggestions/fix a Like token. -L0Lock- added a comment to T54951: Properties Editor Design. It should appear when hovering the item, not the icon only, otherwise a lot of people will just never notice it's there. @Vyacheslav (Ghostil) only when it's 8bit/channel then. -L0Lock- awarded rB85c1e6137553: UI: Add user defined context menu a Love token. -L0Lock- awarded rB337aab59e974: Workbench: Matcaps: Fix matcap under perspective. a Love token. -L0Lock- awarded T55386: 2.8 UI Tools: Top Bar, Tool Properties & Toolbar Update a Love token. -L0Lock- awarded T55039: 2.8 UI Tools: Tool Tweaking UI a Love token. -L0Lock- awarded D2395: UI Layout: GridFlow a Love token. On previous Blender versions, with background image enabled, when you drag'n'drop an image file (whether from your OS's file browser or from Blender's Image Editor) to the 3D viewport, it will add this image as background image. -L0Lock- added a comment to T54987: Implement Multi-Object Properties Editing. On several AZERTY keyboards, @ needs to hold Alt to be done, and this is not well handled on some softwares. -L0Lock- added a comment to T54744: UI: Expand List of Editors. Why remove the user preferences from the list ? -L0Lock- awarded T55162: Blender 2.8 Blender Keymap changes a Like token. -L0Lock- added a comment to T55162: Blender 2.8 Blender Keymap changes. Something pointed out on that RCS topic, is that the ESC key cancels a lot of things and, in some scenarios, can cancel several actions in one single keystroke (and most of the time it's not wanted). While a "solution" could be to make the Esc key cancels only the "active" action (if that is possible ? ), I think that Esc key actions should be reduced at least for some elements. -L0Lock- added a comment to T55038: Consolidate tool-related settings in top bar. I personally have a big issue with the current top bar: it's currently filled with 3D editor related content and seem to be a 3D editor related thing, while it's displayed as a global Blender window bar. -L0Lock- added a comment to T54945: Armature Drawing Remaining Tasks. Is a "global" xray planned ? Like the "Xray joints" from Maya which displays all armatures xray on ? -L0Lock- added a comment to T54908: Workbench UX design. There is an addon mimicking what is talked above : Mesh check. In my experience, it saved me a lot of time and is way more flexible and easy to use than the "Select Faces by Sides" operator: it's visual, displays and updates on the fly and it's easy to focus on one area in order to fix it. while the "Select Faces by Sides" operator needs to be managed by hand, can't detect both triangles and n-gones at the same time and once you've found them, if you start fixing one area you lose the other's selection. -L0Lock- added a comment to T54985: Xray mode for armatures. -L0Lock- created T54985: Xray mode for armatures. -L0Lock- added a comment to T54661: Gizmo Design. Yes, but some things are lacking, like being able to move the 3D cursor manually in the 3D space, simple snap to object's origin or any other type of snapping just on a keypress on-the-fly during the manipulation. And for now, managing the 3D cursor is done in a separated way. 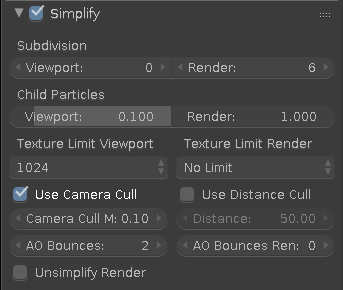 If you're manipulating an object and suddenly need to change pivot point, you have to stop manipulating, do several shortcuts, selections, and clicks to manipulate the 3D cursor, eventually switch back and forth between object/edit/pause modes, and then go back to manipulation. 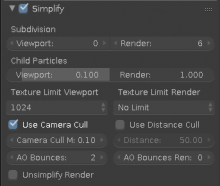 While SFM's "screen manipulator" workflow is to let you manipulate your selection and your pivot point within a minimum amount of actions, and that is possible because of their widget and on-the-fly snapping types shortcuts (I realize I forget to talk about that, perhaps it's not the best place too...). -L0Lock- awarded T54951: Properties Editor Design a Love token. -L0Lock- added a comment to T54950: 3D Cursor Design. Add selection RMB/LMB, devs will keep RMB as selection, it's ok, but when people start learning blender they don't know they can change that. A lot of people, don't like it and give up blender because of that, so giving the possibility to choose like we can choose presets will allow more people to learn blender and after they can try and keep RMB. I like the first "User Interface & Visualizations" screenshot, it looks a bit like Unreal Engine's viewport which I really enjoy to use. -L0Lock- added a comment to T54053: Rendering Animation. What is your operating system, graphics card model, and Blender version? -L0Lock- created T54058: Rigify - Cat setup suggestions/fix. -L0Lock- added a comment to T52983: Copy Attributes Menu greyed out. I guess that would be better to warn the user, yes. -L0Lock- updated the task description for T52983: Copy Attributes Menu greyed out. -L0Lock- created T52983: Copy Attributes Menu greyed out. -L0Lock- added a comment to T50594: Bsurface There aren't any strokes attached to the object. I found a trick to bypass the problem. It's not a solution, but at least i can continue working while searching how to fix the bug. In object mode, i create a new retopo mesh via the Setup Retopo button (Speed Retopo addon). 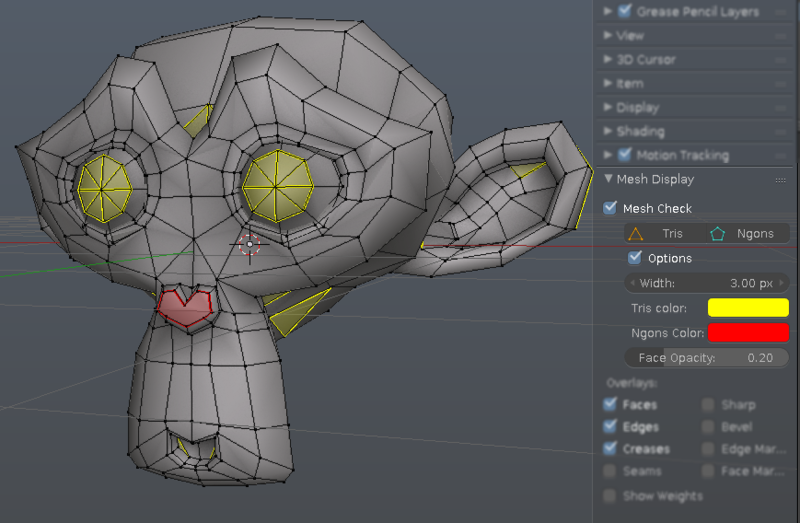 So i get a new fully functional object with all the retopo settings that i used before. I jut need to create a new layer for Grease Pencil, check if bsurface works in edit mode (it work), and join my old retopo mesh to the new empty one to be allowed to continue working on it. Thanks for your answer. I tried to add a new drawing brush but it's still not working. -L0Lock- renamed T50594: Bsurface There aren't any strokes attached to the object from Bsurface to Bsurface There aren't any strokes attached to the object. -L0Lock- created T50594: Bsurface There aren't any strokes attached to the object. -L0Lock- added a comment to F279291: cannot execute boolean operation scene.blend. Two issues in your scene. First, if you want to create a hole in your mountain object, you have to add the boolean modifier on that object and use your "tunnel" object as the target object, then set de boolean type to "difference". By doing this, you will create a tunnel in your moountain. Second issue, te one that brings you the error : you mountain's mesh is full of doubles. Enter in edit mode, select all the mesh, then press W → Remove doubles. After that, you can go back in object mode and watch your mountain with a hole in it.